Falling in love with literature was easy for Christine Hughes. 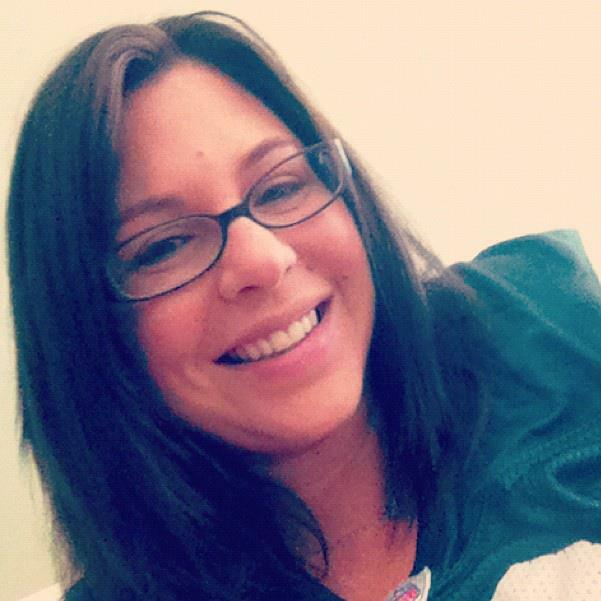 Not sure where her love of reading and writing fit, she became a middle school English teacher. After nine years teaching others to appreciate literature, she decided to take the plunge and write her first novel, TORN – a YA paranormal released by Black Opal Books on June 9, 2012. Her second novel Three Days of Rain was released by Black Opal Books January 5, 2013. “Torn” and “Three days of Rain” are quite different books. Do you feel more at home in a particular genre? At first, YA was more comfortable because I’d been a middle school English teacher for so long. The voice was easier for me to reach. Three Days of Rain is Women’s Fiction/Contemporary Fiction (depending on who you talk to) and that was a bit more difficult for me even though I wrote it much faster. Not sure if it was the subject matter or what, but it was more difficult. I guess, the answer is that YA is more of my comfort zone but I’d love to take more challenges and write outside of my comfy box. “Three days of Rain” received an honorary mention at the Paris Book Fare (?) recently. How did they get to notice your books? I entered their competition. 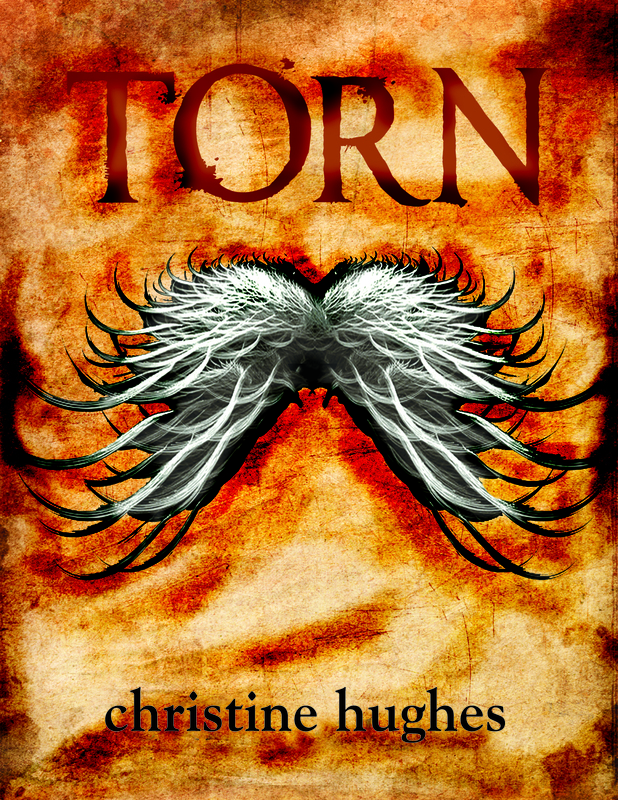 Last year I entered TORN in the Hollywood Book Festival and won an Honorable Mention as well. Congratulations! 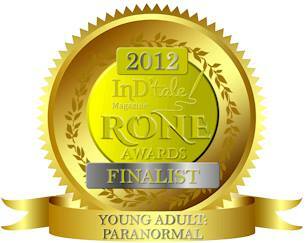 And…..you are also a finalist at the RONE Awards Paranormal Category! Well done! I always kind of wrote something. Be it bad poetry, simple short stories – creative writing was my favorite class in college. Then I became a teacher and taught others how to write. It wasn’t until much later I really began to write for myself. Even then, I had no goal in mind. Just kind of wanted to see if I could do it. Did you have the stories for your books already in place? Not usually, except in the case of TORN’s sequel, tentatively titled Darkness Betrayed. Even then, I wasn’t sure where it would go. Then again, with Three Days of Rain, I based the entire story on a song of the same name written and performed by a friend. Songs. Even if I’ve heard the song a million times, one day a storyline will hit me like a movie, almost, in my head. I build a playlist around the song and possible emotions I want to portray and begin writing. I have to have music playing or I get lost. Does much change during your writing or is the story pre-written in your head? Ha! So far, everything has changed. I try to outline but I am a panster at heart. I never follow the outline anyway so I guess it’s for the best. 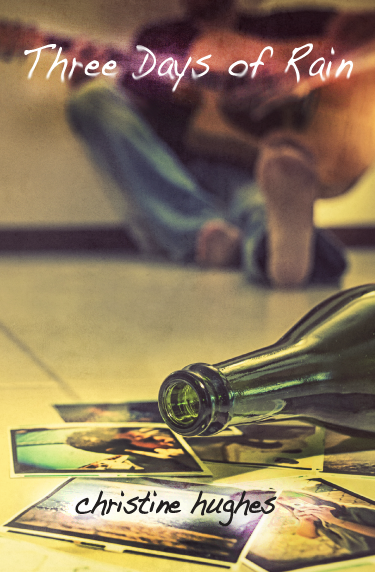 What made you write for Young Adults in “Torn”? Was that planned or did it come out like that? Not sure if YA was planned, per se, but I wrote, at the time, what I knew and what I knew was the YA voice. Originally, it wasn’t about angels. That happened organically. Also, it began as kind of a mystery ala Edgar Allan Poe. Not sure why it ended up where it did but I am very happy with it. Parts of “Three Days of Rain” are quite heavy going. Was the experience of writing it painful, cathartic in any way or important to you for other reasons? Gosh, it was so exhausting – mentally, emotionally – to write that novel. It was in me and I had to get it out. That book, more than TORN, was written just to see if I could get something so emotional out there. It’s hard too, because I can barely relate to any of the pain those characters felt. Poor Jake. I’ve gotten many, many “how could you do that?” messages from people about that book. Would you say your books have a core message? I don’t know. Hope? Hope that something greater is out there. Hope that no matter what’s thrown your way, something – whatever you believe in – will help you through. I love when an idea hits me. I love that feeling that I have to write it. The worst? Revising, editing. Blah. It’s the worst. Well, maybe the synopsis and back cover blurb are the worst. Nah. Revising and editing. Hate it. Ahhh. In TORN I love Sebastian. He’s the bad guy but he’s awesome. In the sequel, Damien is my favorite. In Three Days of Rain, I can’t pick. Even Madison has some redeeming qualities for me – though most may not agree. Depends. I love to write outside when the weather permits. I have a space in my home and I wrote 90% of Three Days of Rain at Barnes & Noble. Process? Playlist on shuffle and write. That’s it. I review what I wrote the day before, do a little revision and move on. Who are your publishers and editors? Cover artists? My publisher for TORN and Three Days of Rain is Black Opal Books. My cover designer for TORN was my friend Jay Sabo and the photo for the cover of Three Days of Rain was taken by the amazing Simone Becchetti. I don’t know. I have so many. I’ve read every JD Robb and Harlan Coben book, I love Hemingway, Ray Bradbury. As a kid I read every Christopher Pike and R.L. Stine book –just not the Goosebumps. I’m just finding new authors to read and I am falling in love with so much more. Ask me next week and I may give you a different answer. Can I load up my kindle and bring that? I honestly can’t answer that. It would depend on my mood that day! Sophie Davis is up there right now. So many others. I haven’t read much more than 1 or 2 books from anyone new because there are so many. I think Kyle Hannah has a big future. His Time Assassins was great. I must hang my head in shame – I just read Sloppy Seconds by Tucker Max. Ahhhh! I fun YA thriller where people get offed every other chapter! Oh, and I finfished the sequel to TORN a week and a half ago. Things haven’t been easy for Jacob Morgan. Persecuted by the ghosts of his past, Jake lives each day just going through the motions, barely getting by. Then Lily Burns comes to town and befriends him. As Jake starts to heal, he begins to hope that he has finally overcome the mistakes and tragedies that have tormented him for so long. But just when he thinks his problems are solved, his past comes back to haunt him, and once again, Jake is confronted by situations he is ill-equipped to handle. Can Jake hold on to the progress he has made, or will the lies, guilt, and secrets he’s tried to ignore shove him back into an abyss from which there is no escape? “Three Days of Rain” by Christine Hughes is an tragic story and an emotional reading experience but one that is worth your while. Jake has an almost co-dependent and raw relationship with substance using Maddie and – as the clique goes – it is rather complicated. Just as it seems that Jake has given up on love he meets Lily, who has her hands full to get him to open up and trust her. I was recommended this book by a friend and expected a straight forward romance novel, maybe that helped to deepen the impact this book had on me. I was stunned by the raw emotions, the deep insight into the tormented characters and the intensity of it all. It is not an easy read but one that draws you in and won’t let you out until it is over. I found the reading experience very compulsive and need to emphasise also that it was not all gloom and misery but where it is, it is well justified and purposeful. The author has amazing talent and a promising future. I will keep an eye on her next works. Getting out of your comfort zone was a good thing for your readers. Three Days of Rain was excellent.